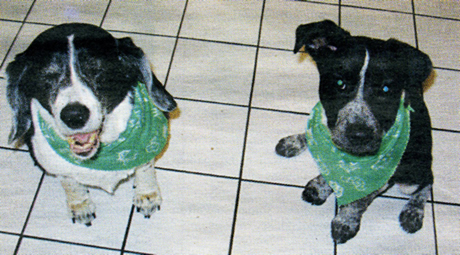 Pictured: The Muyco-Tobin dogs: Corky Ann and Rowan Patrick. It all comes down to commitment and patience. “It’s going to take some communication and education for the humans,” Atkinson says. “What you think is ‘problem behavior’ might be normal dog behavior. They’re not being bad, they’re just being dogs.